At Robinette Legal Group, PLLC we know personal injury law from both sides. 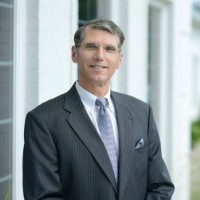 Founding attorney Jeff Robinette began his career representing insurance companies and defending against personal injury lawsuits. Today, he uses the knowledge gained from that experience to fight for injury victims. This valuable perspective lets us anticipate the strategies the insurance companies use against our clients. It helps us know the strengths and weaknesses of their cases, and how we can challenge their claims to obtain compensation for our clients.